Membership rates for the year are detailed below along with instructions on how to create or renew your membership via the Paddle Australia website. Membership fees are paid directly to KWCC once registration is completed through the Paddle Australia website. EFT details are provided during the registration process. Please click on one of the the ‘Sign Up’ buttons shown on the page to join the squad program at KWCC. Coaching fees can be paid on a monthly basis via subscription until cancelled, or via an annual payment. 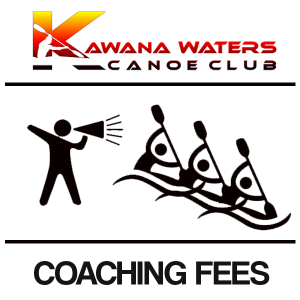 This fee covers squad coaching which is available 5 mornings a week at the Lake Kawana facilities. Please contact us regarding any questions related to our coaching program or fee structure. Looking to try paddling or to join a squad based on the Sunshine Coast? KWCC runs kayak sessions 5 days per week. Contact us for more information.